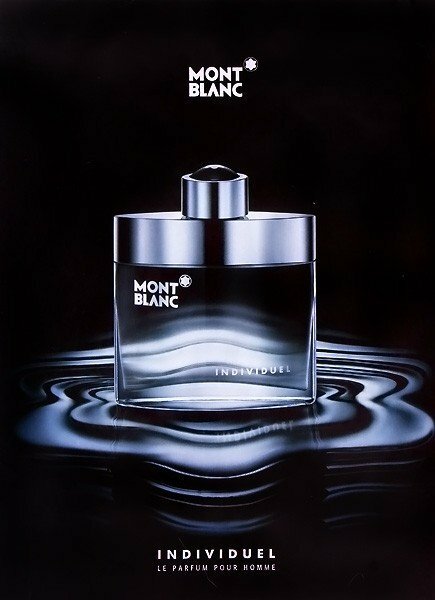 Individuel (Eau de Toilette) is a perfume by Montblanc for men and was released in 2003. The scent is sweet-fruity. The production was apparently discontinued. This is a great creation. I really enjoy wearing this one. Not too strong, not too harsh. Perfect for casual wear (of course, careful with the trigger). I like to use it in the fall and a bit in the early of winter. Some are using it in the spring as well, but I don't. Great for hanging out with friends as well. A bit sweet and also a fresh touch. That raspberry feel makes it so approachable and warm. VERY cheap for the quality inside the bottle. A nice bottle and pretty unique juice. Not so many people are using it in my surroundings and that's why I love it so much. I always get questions like "what is this ? hmm.. what are you wearing ? you smell so .. different". I really appreciate some uniqueness in a fragrance. I guess we all do and this one has it. When it comes to performance .. Excellent for me. 6-7 hours , maybe pushing 8 with decent projection of 1.5/2 hours. For the price we pay, this is more than enough. I will always come back for this one because I really like it and it gets the job done. It's nothing groundbreaking. It's not challenging. While it's not too cheap smelling, it's not high quality. It's not the sort of thing you'd wear if you wanted to impress or make an impact. It's cosy and comfortable, it's nice (hate that word, but it fits), it's safe, projects decently and lasts rather well. It's the sort of thing you'd wear if you wanted to smell good but not stand out. Perfect for those 'meh' dumb reach days. It's the sort of thing you could wear to the office and not have people bat an eyelid. It's the sort of thing you could wear taking your kids to their friends' parties. It's the sort of thing you'd wear to do the food shopping. It's sweet without being cloying, spicy without being raucous and fruity without being overpowering. Is it worth the hype? Probably not. I only bought it because of the hype, but almost two years in, I still find myself grabbing it when the occasion suits. Not the sort of fragrance to buy if you're only looking to buy one fragrance. Definitely better in the cooler months, but pretty much a no-brainer for the cost (under €20 for 100ml), caveats accepted. You won't get compliments by the bucket load, but you'll certainly be told you smell 'nice'. It was the SOTD as of 12/04/18, the scent comes to my nose and skin as fresh fabric softener which is not a bad thing. Do sense the vanilla as powdery, and catching the Raspberry and dark chocolate on the dry down. Longevity /Performance a solid 8 hrs plus on my skin, again it varies on skin/body chemistry. The scent/sillage is not unique but is a fruity / sweet scent. Montblanc Individuel begins with a sweet, fruity opening where the use of raspberry is instantly noticeable, but it also holds a freshness thanks to the floral notes and a nice use of mint. As it starts to develop, I get some more floral notes and the wood notes start to shine through a lot more with sandalwood standing out the most before the vanilla and tonka bean come in, but throughout the whole thing there is still that scent of raspberry. I've seen this scent compared to two other scents, Joop Homme and Creed Original Santal. It's been a while since I last smelled Joop Homme, but I can definitely tell there are similarities here, the main difference for me being that Individuel doesn't smell as sickly sweet to me which is what I didn't like about Joop Homme, Individuel seems like a modern take the scent. I'm comparing Individuel to Creed Original Santal right now and again there are similarities, the main difference, besides the obvious use of higher quality ingredients from Creed, is that Original Santal is definitely pushing more of the wooden notes in the fragrance and also smells a bit more "powdery" I guess, not to mention how much stronger the scent is. When Individuel starts to lose some of the powerful fruity notes, the scents get a bit closer, but it will always retain that raspberry note keeping it fruitier and Original Santal more wooden in comparison. 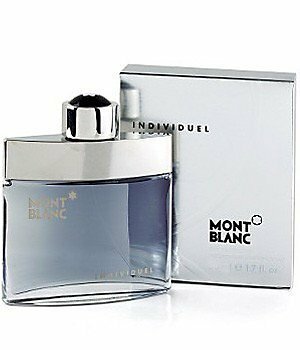 Individuel is a nice scent, I definitely prefer it over Joop Homme and it is similar to Creed Original Santal, though not similar enough to be labeled as a clone, particularly because it was released 2 year prior. This scent is very much a safe scent, it's pleasing but there is nothing really special about it, I said the same thing about Original Santal and that leads me on to who I believe this scent is for, I have this scent because a £25 scent smelling similar to a £200+ scent is a lot better than it being the other way around, it's a very nice everyday scent and it's not going to cost you much at all, in fact it's probably one of the nicest fragrances I've tried at this price. Clone or no clone, that's the question. No, not really. It's definitely not a clone. Nevertheless, I can understand the association well - Individuel immediately reminds me of Joop Homme. However, in the form of a modernized update. Fruity and sweet and very raspberry. And yet there is also a minty freshness that distantly reminds me of Versaces Eros. There in combination with the apple, here with the raspberry. In terms of content, however, this works almost identically. In general, I see strong parallels to Eros in the whole style. As the fragrance progresses, it becomes more floral, but also more woody at the same time, before entering the vanilla-tonka base. The sweet fruity berry note lingers in a weakened form until the end. All in all, however, the course in practice seems much more linear than the list of ingredients would suggest. 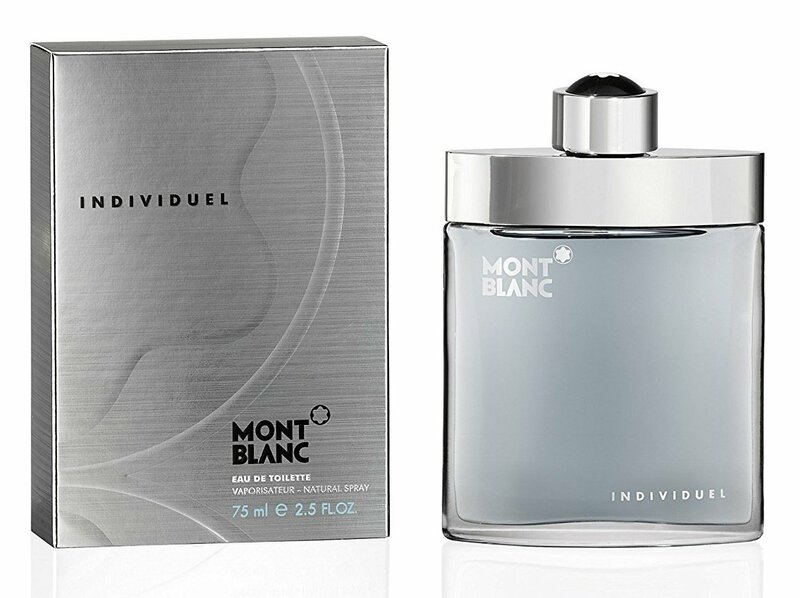 If you compare it to Joop Homme, Montblanc Individuel is much more contemporary. Not only do I feel it fresher, I feel it's somehow more transparent. In addition, despite its sweetness, it also clearly transports the modern clean man. This makes it versatile and portable. Strong enough to be noticed, but not too intense for the office. Pretty well balanced, for my taste. I can't draw comparisons to Creeds Original Santal for lack of test by the way. So I can assess the fragrance itself as positive throughout. But I find these obvious quality problems from batch to batch unspeakable. Smaller deviations are known. And so are reformulations. But I can't understand the fluctuations that are thrown at the market here. Can and should something like this be included in the overall evaluation? I think so. If I have to test three bottles to get "the right" scent, I don't understand anymore. ... Montblanc! :-) Yes, I know, it actually stands for badly made, trashy films, but the association was just so fitting. And apart from the Hollywood business, there is nothing wrong with a refined sweet fruit, at least not when it comes to Pafum. With as many as 21 ingredients mentioned here, it is nevertheless not difficult to smell out this one, the raspberry immediately. She is cute as you would expect her to be, but I don't expect her to be so dominant in an EDT. But this is also called "Individuel", a name that is valid from the first spray of its justification. The raspberry is of course appropriately packed here, wrapped in some mint and other herbs. It thrives on a bed of musk and wood shavings, a few fallen flowers lie around to exude its residual scent. And yes, with a bit of imagination my nose can also perceive a slightly chocolaty undertone. Overall, however, I am pleased that the raspberry does not come across with additional sugar. Because this way the sweetness stays in a very pleasant and for me as a fan of fresh fragrances compatible frame. PS: Could also pass as unisex scent with a slightly more pronounced flower content! If you like spicy scents then this one might be for you. If you want to try the fragrance without spending the money, try Nike Brown Men at around AUD10.00 or Gold Spray by Al Haramain. On a spiciness level between 1 to 3, with 1 being least spicy and 3 being most spicy Montblanc is (1) much cleaner smoother then Nike Brown Man (2) and Gold Spray by Al Haramain (3) being the most spicy fragrance. I think that Montblanc and Nike Brown Man are almost identical on the dry down though. The test of a perfume depends on whether or not you would buy it again. Personally, I wouldn't buy another bottle. I love Creed's Santal. This fragrance gives you that wake up you need and is very fresh with a laundry scent. Garners compliments and last and projects long on my skin. It can be pricey but an alternative to this would be Mont Blanc Individual. They almost smell identical. I think that this one is pretty hard to screw up. It maybe wouldn’t be appropriate at a funeral, other than that I think you’ll be ok.
Also it probably is more of a fall/winter type of frag... but I guess it is up to you. The scent itself is like a sweeter, yet fresh but still a bit powdery kind of feel with raspberry on top. Fabric softener and raspberries in a bottle - this is what I smell. It last all day and then some without problems. I think it is a strong scent, so be careful with the sprays. Use for casual everyday, work/university. Can be used dressed up, since I still think it's a nice clean scent. I honestly have been thinking about giving it away, but when the cold hits this is one I am reaching for. Montblanc Individual in my opinion is the best releases from this house. A very clean and aromatic fresh scent. There is also some sweetness provided by the Tonka bean, Raspberry and the Vanilla notes, There is more than a resemblance to Creed Santal as mentioned on various reviews although this was released first, Also it has been compared to the original Joop. although only slightly. This more refined and not as cloying as Joop . If you dont want to spend too much on a fragrance or just want to add this to a collection this is perfect. Occasion wise this could be worn all year round apart form extreme heat as there is some sweetness but this is purely subjective, Montblanc Individual is perfect for work environment or socialising during the day or night. The projection / Silage is good for the first 3-4 hours and also above average longevity. Go easy on the trigger as this could potentially be over sprayed depending on skin type. This would make a good blind buy and I have to say this is a quality of this release from Montblanc. The bottle design is simple but effective. When a designer fragrance is compared to a niche typically it's a compliment. If a similar designer scent is routinely considered equal to or better than the niche that is high praise! And this is what you will find in this mainstream Mont Blanc Indivduel as it is often compared to Creed's own Original Santal. I know it sounds over simplified but this edt's opening reminds me of my favorite chocolate and raspberry candy with the dry down reminding me of perhaps the worlds greatest smelling fabric softener, no need to get complicated here. It is very linear and that is just fine by me as this budget scent gives a very desirable sweet yet fresh ride from start to finish. Oh and the bottle design would looks right at home between any of my favorite Chanel's. it's interesting to see "individual" among the top perfumes of parfumonet. first of all it doesnt have the quality and punches nose with its synthetic notes. it's sweet like hell, as a sweet fragrance lover i couldnt tolerate this one. longevity and sillage are only good things that we can talk about. Sweet and heavy, Individuel is an excellent perfume. Joop Homme is certainly more sinthetic and not as well crafted as this, why they differ. I feel a very pronounced notes of cinnamon, vanilla and pineapple mostly. Lasting power is high and with huge projection. Overrated and synthetic! Yep very close to Original Santal. If you like the Creed go for this one. Am I the only one who gets chocolate? Really dig your nose in...it's in there. Not my fav from the house, but a solid "city" frag + value.